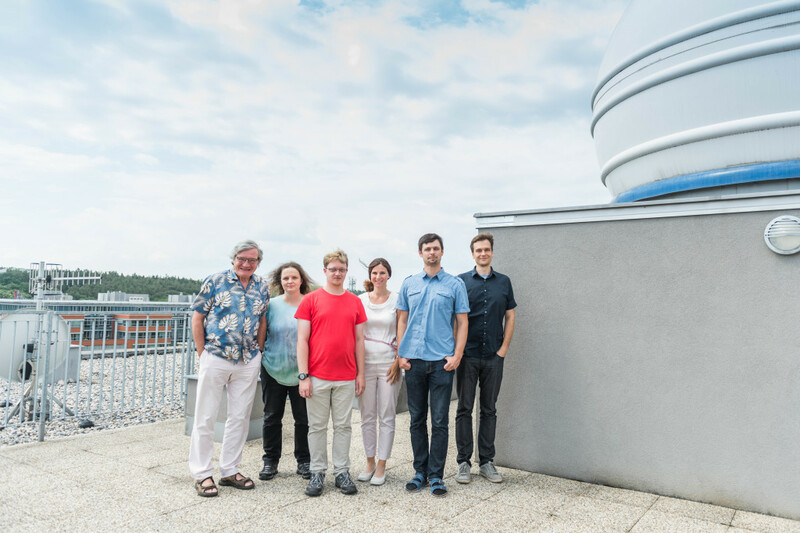 The Physics of Galaxies research group is a part of the Galaxies and Planetary Systems department of the Astronomical Institute of the Czech Academy of Sciences. In addition, we also study other processes that affect galaxy evolution. We are investigating whether shells near central supermassive black holes may deliver mass to galactic central regions. We explore the evolution of galaxies in clusters due to gravitational interactions and ram pressure stripping, caused by the motion of galaxies through the hot, low-density intracluster medium. Our studies use our own observations spanning radio, millimetre and optical wavelengths from the VLA, Arecibo, ALMA and various ESO telescopes, complemented with existing archival data. We also perform numerical N-body and hydrodynamical simulations using the facilities of the Astronomical Institute and on supercomputers elsewhere.